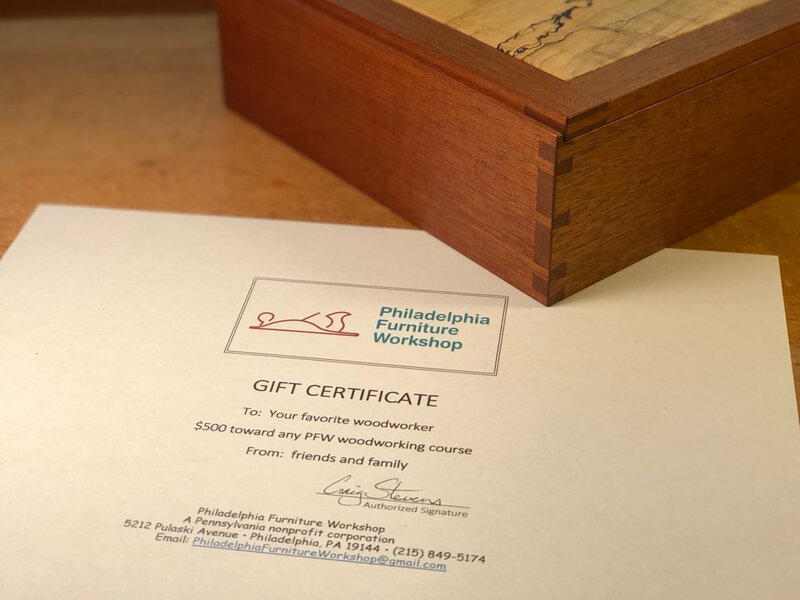 A gift certificate is the perfect choice for your favorite woodworker. Gift certificates can be given for a particular workshop, in a specific dollar amount or for private instruction. It’s the easiest way to give your woodworker something they’ll appreciate and enjoy. Give us a call at the shop and we will be glad to assist!